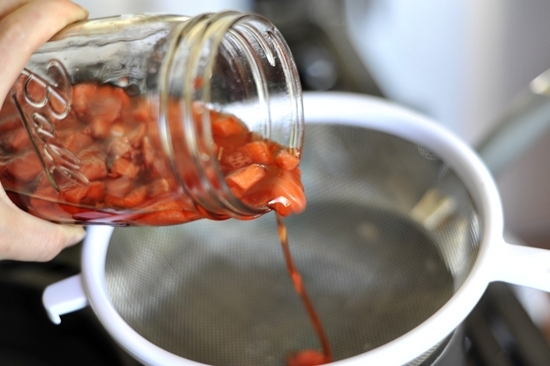 Fruit vinegars are a great way to enhance the flavor in almost anything and a good way to use an over abundance of fruit. You can use them to deglaze the pan of a roasted chicken or pork chop, add them to green salads and fruit salads, or add them to sparkling water for a tangy beverage. 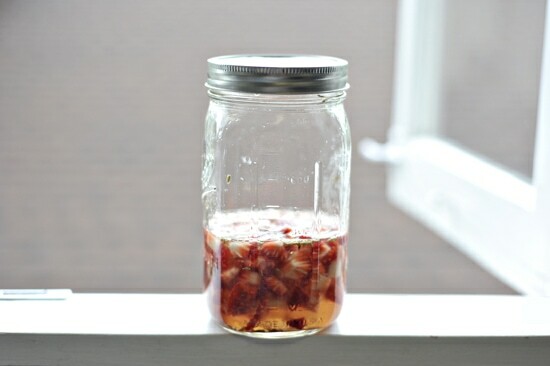 You can use almost any variety of fruit that’s in season, simply keep the ratio of vinegar to fruit at 1:1. 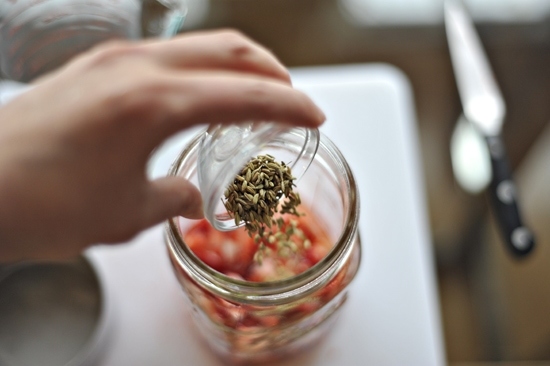 I used strawberries, but figs peaches, cherries, would work well, and you can also play with other seasonings like star anise, fennel, caraway, or lemon grass, and see which fruits pair best with the various flavors. 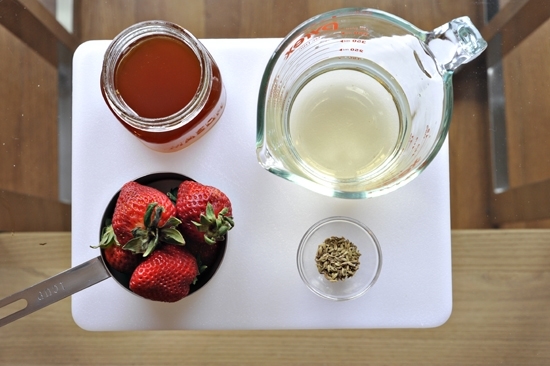 I started with: white wine vinegar, strawberries, honey and fennel seeds. 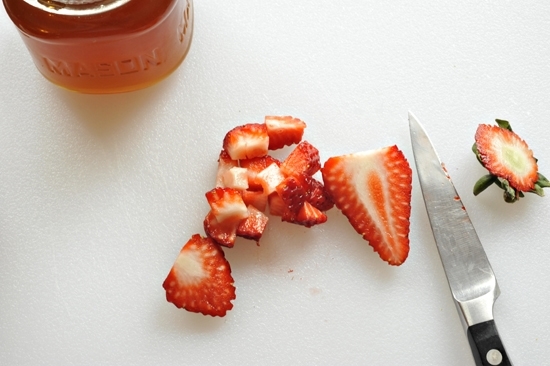 Simply chop the fruit into small pieces to expose the most surface area. 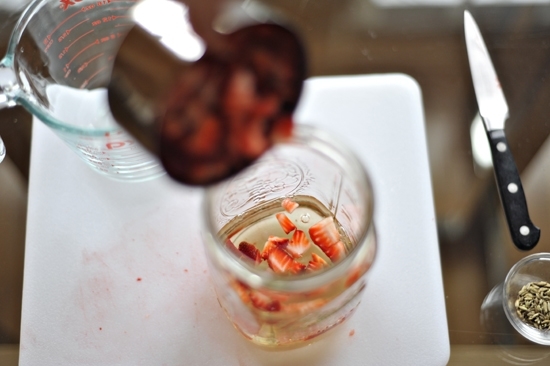 Add the vinegar to a mason jar or any other glass jar you have on hand. A leftover pickle jar would work well. Put the lid on tightly. Give it a very good shake. Then let it stew and macerate on a ledge somewhere and walk away. Let it sit for two weeks in a cool dark place. This is what it will look like at the end of two weeks. And then either discard this fruit or get creative and use it as a tangy topping on your ice cream or salad. 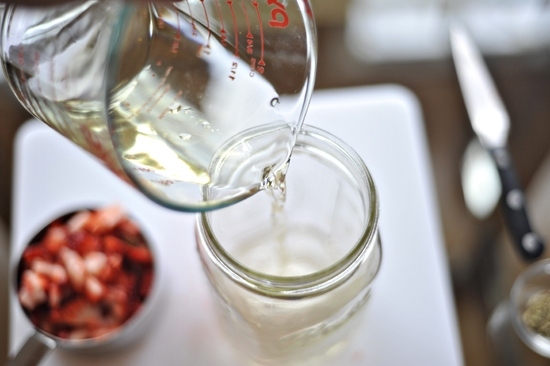 The liquid you’re going to bring to a boil to help bring any impurities to the surface. 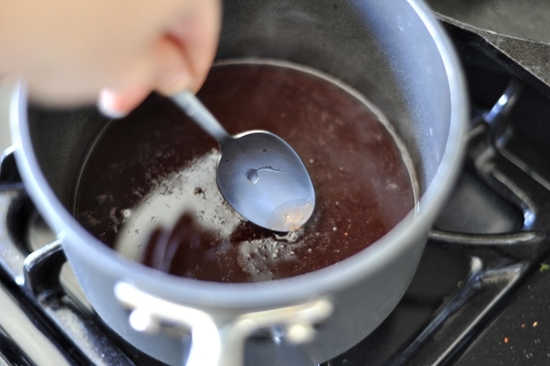 Then turn off the heat and let it settle and skim off any white foam still there. Those are the impurities. There may not be many. 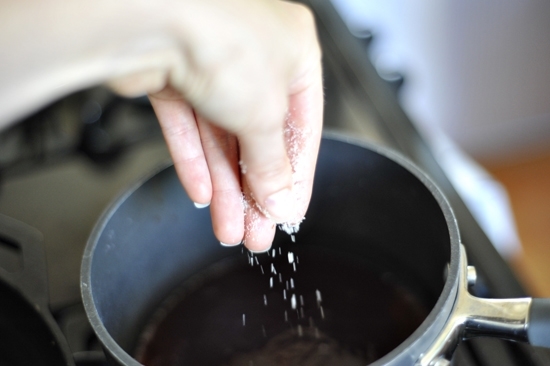 Add honey or sugar here to help mellow out the edge. Then you’ll need a contraption like this. 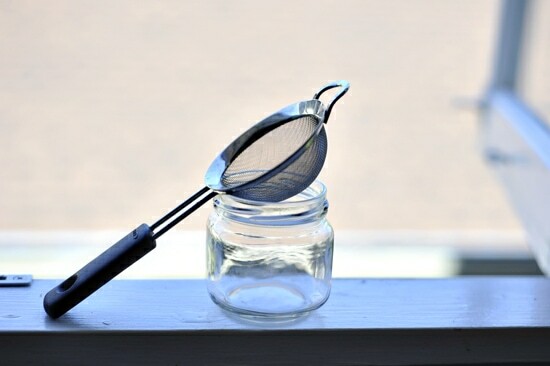 A smaller glass jar and a small strainer. 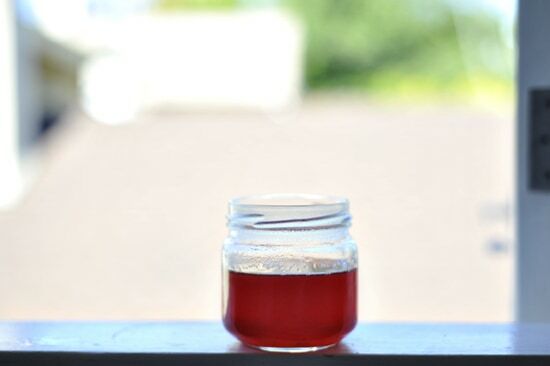 And there you have it… a pretty fruit vinegar to have on hand for a rainy day. Give it a try sometime! Tis’ the season for a lot of extra fruit on hand. Remove the stems from the figs and chop them well to expose the inner flesh. 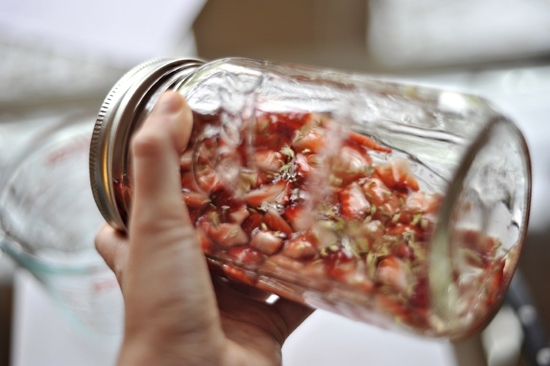 Combine with the chopped fruit, vinegar and fennel seeds in a glass container with a lid (a mason jar or recycled pickle jar works well), and store for 2 weeks in a cool, dark area. 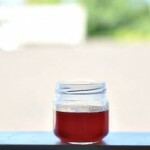 After two weeks taste the mixture to see if it is fruity enough for your tastes. 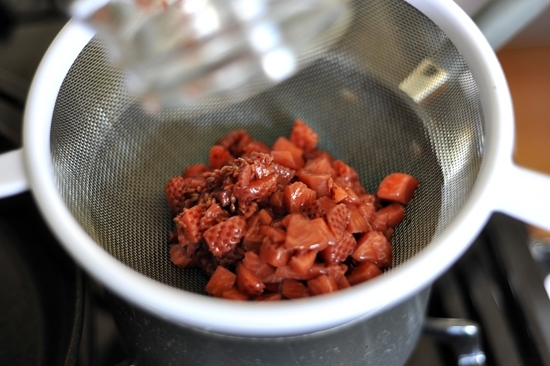 You can add more fresh fruit and repeat the process if you’d like it stronger. 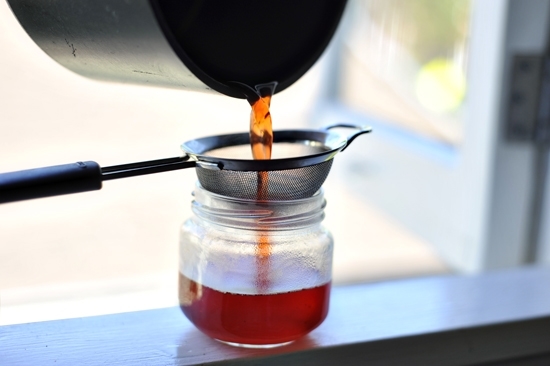 Strain the liquid through a fine mesh strainer into a non-reactive saucepan and add honey or sugar to taste. 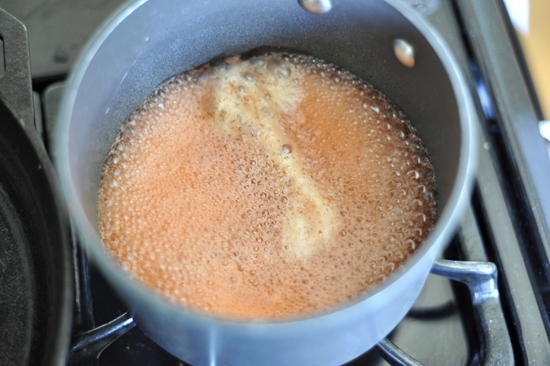 Bring to a simmer for 2-3 minutes uncovered, then turn off the heat and skim off any foam. 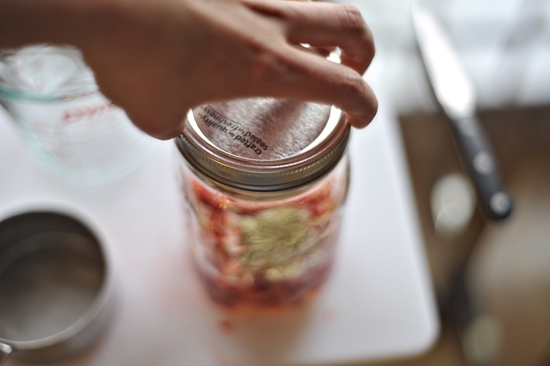 Strain the liquid into dry sterilized glass jars. You can easily sterilize them by running them through the dishwasher. 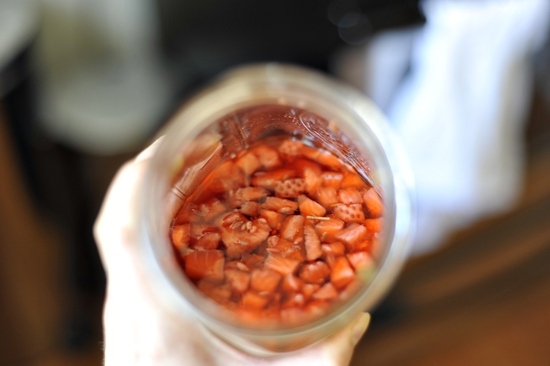 Store the fruit vinegar tightly sealed in a cool dark place. Ooooo, looks beautiful! I have some cherries sadly wasting away in the fridge. This sounds like a good use for them. I'll have to think of something good to do with the pickled fruits though.